August/September – when people are back to school shopping, clear out last year’s fall and winter clothing, winter gear, Halloween costumes, etc. 1. Yard sale Advertising – Take advantage of the free online advertising options listed below a few days before the sale to get the word out about your sale. It helps to include any HOT or big ticket items in your advertising! The night before the sale, make big signs using colored poster board to announce and direct people to your sale. Craigslist – I have had GREAT success advertising sales using Craigslist and often have people waiting for me to open the day of the sale! Facebook – look for Beg, Barter, and Sell groups in your area and advertise your sale there! 2. Yard Sale Pricing – Price items as you are gathering them for your garage sale. Price EVERYTHING! 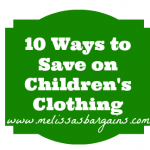 Then, you won’t be caught off guard or wasting time trying to price items during your sale. When I’m having a garage sale, my goal is to get rid of items, so I make sure they are priced to sell. I always price my bigger ticket items a few dollars more than my “rock bottom” price so that I have room for negotiation because there are always going to be people who want a “deal.” I also sometimes sell my bigger ticket items using Craigslist, eBay, or on a Beg, Barter, and Sell group on Facebook because I know I can get more money that way. If you’ve got name brand items or clothing that you’re hoping to get more money for, the garage sale is probably not your best option. 3. Yard sale Organization – Hang up clothing items and if possible organize by size. 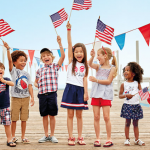 For example, group children’s clothing together by gender and size and adult clothing together. Then, shoppers can easily browse to see if you have what they’re looking for and you don’t end up with clothes thrown all over your driveway. Have prices attached and visible (I buy the pricing stickers at Dollar Tree and they’re even color coordinated so it’s easy to see how much items are!) Use tables to lay out other items. It doesn’t take a lot of extra time to do this, but it makes a big difference! 4. Get change and have other payment options available – The biggest mistake I made at my first garage sale was not having enough “change” At the start of the day, people will often have bigger bills ranging from $20 to $100 and not having change could mean losing a sale! 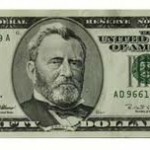 I try to have at least $100 on hand to start my sale in these denominations: 2 $10 bills, 8 $5 bills, and 40 $1 bills. You may want to invest in a Counterfeit Bill Detector Pen if you plan to accept larger bills. You can also have other payment options available. 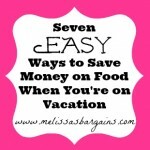 By doing this, you may be able to sell some of your higher priced items for your asking price! One option is a free credit card reader and it works with an app on your smart phone! 5. Have plastic bags handy – A few weeks before your sale, start stashing those plastic bags from the grocery sale. Have those on hand for shoppers as they check out! 6. Have a buddy system – Don’t attempt a yard sale alone! Have one person in charge of the money and “checking out” shoppers and another person on hand to answer questions and keep an eye on things so nothing gets stolen. Don’t keep big bills out in the open. I always have my “buddy” stash the bigger bills out of sight. If you’ve got children, try to find a babysitter because they are just an added distraction. 7. Have a freebie section – Shoppers often come with their children and I found that my children’s toys that I had for sale were a mess within minutes. I started adding a “freebie” section with McDonald’s toys and other small items and I let each child grab a toy (while supplies last) and this has really helped me keep things organized. 8. Donate leftover items – When I have a yard sale, the last thing I want to do is bring the items that did not sell back into my house. When the sale is over, I donate leftover items to a local charity. Make a list of what you’re donating before you go and be sure to get a receipt so you can claim it as a tax deduction! 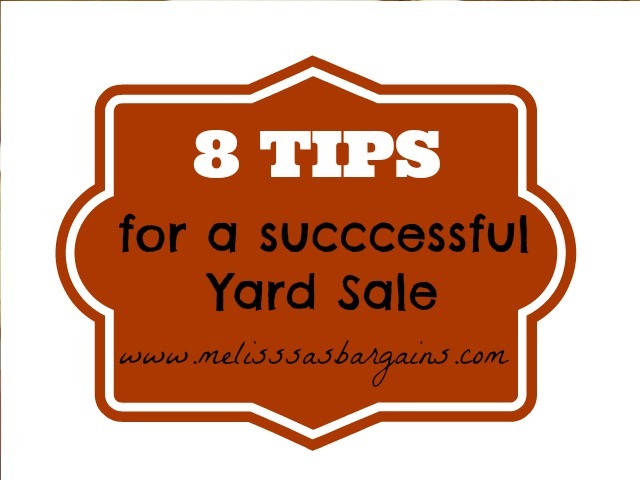 Do you have any more successful yard sales tips? Inbox Dollars: Get PAID to read e-mails!